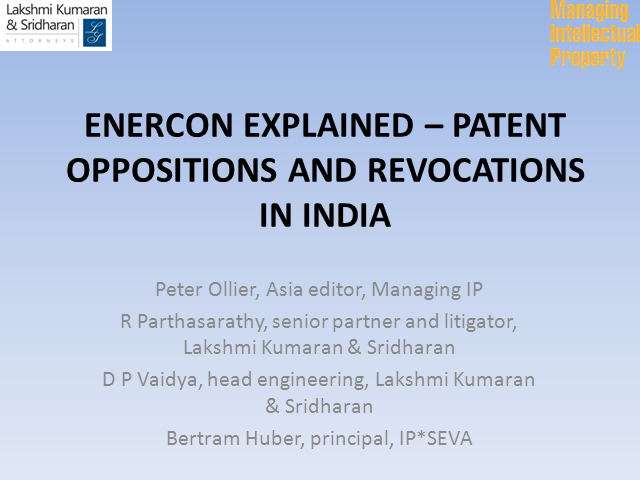 The recent decisions of the Intellectual Property Appellate Board in the Enercon revocation cases have important implications for the development of patent law in India. Unlike the previous decisions on patent law on national interest, these are the first set of substantive decisions clarifying the law relating to interpretation of claims, identification of person skilled in the art, common general knowledge and obviousness. The webinar will provide the background of the cases, various issues decided by the Appellate Board and strategies for handling oppositions and revocations in India with insights on importance of substantive and procedural compliances during prosecution.